Vespa Servizo . Fabulous vintage style record box. The 220 Cube model holds approximately 75 7" vinyl singles. Super stylish storage solution for your record collection. Authentic vintage prints & designs. Handcrafted from solid wood using traditional methods our record crates are designed for vinyl. Vespa Servizo . Fabulous vintage style record box. This 370 Fatboy crate holds approximately 80 12" vinyl albums. Extra width added to accommodate non standard outer covers & thick PVC sleeves. 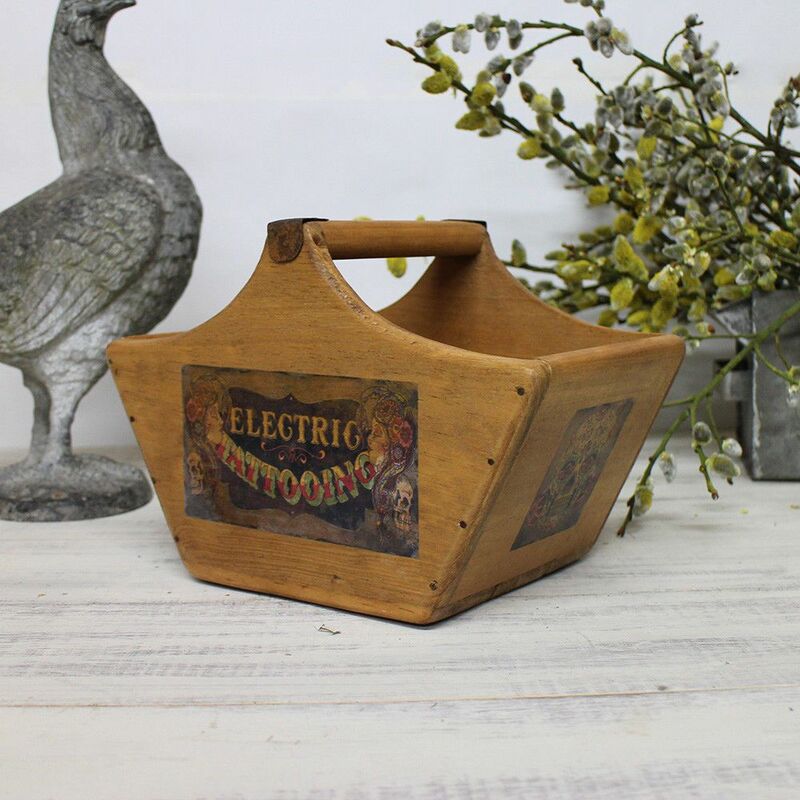 Electric Tattooing Crate Fabulous vintage style Old School tattoo trug. Superb quality traditionally crafted solid wooden crate with metal straps. Great for Household storage hampers or gifts. Made from solid sustainable pine wood with unique prints.